December 17 is the 351st day of the year(352nd in leap years) in the Gregorian calendar. 14 days remain until the end of the year. 497 BC – The first Saturnalia festival was celebrated in ancient Rome. 546 – Siege of Rome: The Ostrogoths under king Totila plunder the city, by bribing the Byzantine garrison. 920 – Romanos I Lekapenos is crowned co-emperor of the underage Constantine VII. 942 – Assassination of William I of Normandy. 1398 – Sultan Nasir-u Din Mehmud's armies in Delhi are defeated by Timur. 1538 – Pope Paul III excommunicates Henry VIII of England. 1583 – Cologne War: Forces under Ernest of Bavaria defeat troops under Gebhard Truchsess von Waldburg at the Siege of Godesberg. 1586 – Go-Yōzei becomes Emperor of Japan. 1718 – War of the Quadruple Alliance: Great Britain declares war on Spain. 1777 – American Revolution: France formally recognizes the United States. 1790 – The Aztec calendar stone is discovered at El Zócalo, Mexico City. 1807 – Napoleonic Wars: France issues the Milan Decree, which confirms the Continental System. 1812 – War of 1812: U.S. forces attack a Lenape village in the Battle of the Mississinewa. Simón Bolívar declares the independence of Gran Colombia in Angostura (now Ciudad Bolívar in Venezuela). Carlo Brioschi made the first astronomical observation from the new Naples Observatory at Capodimonte. Simón José Antonio de la cruz Santa maria Trinidad Bolívar Palacios Ponte y Blanco, generally known as Simón Bolívar and also colloquially as El Libertador, or the Liberator, was a Venezuelan military and political leader who led the secession of what are currently the states of Venezuela, Bolivia, Colombia, Ecuador, Peru, and Panama from the Spanish Empire. Gran Colombia is the name historians use to refer to the state that encompassed much of northern South America and part of southern Central America from 1819 to 1831. The state included the territories of present-day Colombia, Ecuador, Panama, Venezuela, and parts of northern Peru, western Guyana and northwestern Brazil. The term Gran Colombia is used historiographically to distinguish it from the current Republic of Colombia, which is also the official name of the former state. Ciudad Bolívar, formerly known as Angostura and St. Thomas de Guyana, is the capital of Venezuela's southeastern Bolívar State. It lies at the spot where the Orinoco River narrows to about 1 mile (1.6 km) in width, is the site of the first bridge across the river, and is a major riverport for the eastern regions of Venezuela. Year 497 BC was a year of the pre-Julian Roman calendar. At the time, it was known as the Year of the Consulship of Atratinus and Augurinus. The denomination 497 BC for this year has been used since the early medieval period, when the Anno Domini calendar era became the prevalent method in Europe for naming years. Saturnalia was an ancient Roman festival in honour of the god Saturn, held on 17 December of the Julian calendar and later expanded with festivities through to 23 December. 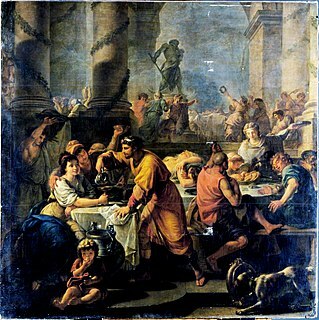 The holiday was celebrated with a sacrifice at the Temple of Saturn, in the Roman Forum, and a public banquet, followed by private gift-giving, continual partying, and a carnival atmosphere that overturned Roman social norms: gambling was permitted, and masters provided table service for their slaves. A common custom was the election of a "King of the Saturnalia", who would give orders to people and preside over the merrymaking. 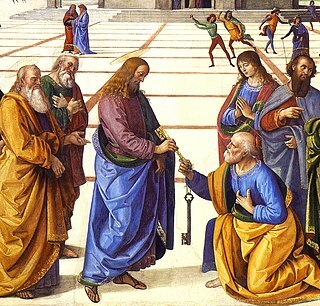 The gifts exchanged were usually gag gifts or small figurines made of wax or pottery known as sigillaria. The poet Catullus called it "the best of days". 1835 – The second Great Fire of New York destroys 50 acres (200,000 square meters) of New York City's Financial District. 1837 – A fire in the Winter Palace of Saint Petersburg kills 30 guards. 1862 – American Civil War: General Ulysses S. Grant issues General Order No. 11 , expelling Jews from parts of Tennessee, Mississippi, and Kentucky. 1865 – First performance of the Unfinished Symphony by Franz Schubert. 1892 – First issue of Vogue is published. 1896 – Pittsburgh, Pennsylvania's Schenley Park Casino, which was the first multi-purpose arena with the technology to create an artificial ice surface in North America, is destroyed in a fire. 1903 – The Wright brothers make the first controlled powered, heavier-than-air flight in the Wright Flyer at Kitty Hawk, North Carolina. 1913 – A spur of the Shaker Heights streetcar line opens, the first line of the eventual Cleveland RTA Rapid Transit system. 1918 – Darwin Rebellion: Up to 1,000 demonstrators march on Government House in Darwin, Northern Territory, Australia. 1919 – Uruguay becomes a signatory to the Buenos Aires copyright treaty. 1927 – Indian revolutionary Rajendra Lahiri is hanged in Gonda jail, Uttar Pradesh, India, two days before the scheduled date. 1928 – Indian revolutionaries Bhagat Singh, Sukhdev Thapar and Shivaram Rajguru assassinate British police officer James Saunders in Lahore, Punjab, to avenge the death of Lala Lajpat Rai at the hands of the police. The three were executed in 1931. 1935 – First flight of the Douglas DC-3. 1938 – Otto Hahn discovers the nuclear fission of the heavy element uranium, the scientific and technological basis of nuclear energy. 1939 – World War II: Battle of the River Plate: The Admiral Graf Spee is scuttled by Captain Hans Langsdorff outside Montevideo. 1941 – World War II: Japanese forces land in Northern Borneo. 1943 – All Chinese are again permitted to become citizens of the United States upon the repeal of the Act of 1882 and the introduction of the Magnuson Act. 1944 – World War II: Battle of the Bulge: Malmedy massacre: American 285th Field Artillery Observation Battalion POWs are shot by Waffen-SS Kampfgruppe Joachim Peiper. 1946 – Kurdistan flag day, the flag of Kurdistan was raised for the first time in Mahabad in eastern Kurdistan (Iran). 1947 – First flight of the Boeing B-47 Stratojet strategic bomber. 1948 – The Finnish Security Police is established to remove communist leadership from its predecessor, the State Police. 1950 – The F-86 Sabre's first mission over Korea. 1951 – The American Civil Rights Congress delivers "We Charge Genocide" to the United Nations. 1957 – The United States successfully launches the first Atlas intercontinental ballistic missile at Cape Canaveral, Florida. 1960 – Troops loyal to Emperor Haile Selassie in Ethiopia crush the coup that began December 13, returning power to their leader upon his return from Brazil. Haile Selassie absolves his son of any guilt. 1960 – Munich C-131 crash: Twenty passengers and crew on board as well as 32 people on the ground are killed. 1961 – Niterói circus fire: Fire breaks out during a performance by the Gran Circus Norte-Americano in the city of Niterói, Rio de Janeiro, Brazil, killing more than 500. 1967 – Harold Holt, Prime Minister of Australia, disappears while swimming near Portsea, Victoria, and is presumed drowned. 1969 – Project Blue Book: The United States Air Force closes its study of UFOs. 1970 – Polish protests: In Gdynia, soldiers fire at workers emerging from trains, killing dozens. 1973 – Thirty passengers are killed in an attack by Palestinian terrorists on Rome's Leonardo da Vinci–Fiumicino Airport. 1981 – American Brigadier General James L. Dozier is abducted by the Red Brigades in Verona, Italy. 1983 – Provisional IRA members detonate a car bomb at Harrods Department Store in London. Three police officers and three civilians are killed. 1989 – Romanian Revolution: Protests continue in Timișoara, Romania, with rioters breaking into the Romanian Communist Party's District Committee building and attempting to set it on fire. 1989 – Fernando Collor de Mello defeats Luiz Inácio Lula da Silva in the second round of the Brazilian presidential election, becoming the first democratically elected President in almost 30 years. 1989 – The Simpsons first premieres on television with the episode "Simpsons Roasting on an Open Fire". 2002 – Second Congo War: The Congolese parties of the Inter Congolese Dialogue sign a peace accord which makes provision for transitional governance and legislative and presidential elections within two years. 2003 – The Soham murder trial ends at the Old Bailey in London, with Ian Huntley found guilty of two counts of murder. His girlfriend, Maxine Carr, is found guilty of perverting the course of justice. 2003 – SpaceShipOne, piloted by Brian Binnie, makes its first powered and first supersonic flight. 2005 – Anti-World Trade Organization protesters riot in Wan Chai, Hong Kong. 2005 – Jigme Singye Wangchuck abdicates the throne as King of Bhutan. 2009 – MV Danny F II sinks off the coast of Lebanon, resulting in the deaths of 44 people and over 28,000 animals. 2010 – Mohamed Bouazizi sets himself on fire. This act became the catalyst for the Tunisian Revolution and the wider Arab Spring. 2014 – The United States and Cuba re-establish diplomatic relations after severing them in 1961. The 1835 Great Fire of New York was one of three fires that rendered extensive damage to New York City in the 18th and 19th centuries. The fire occurred in the middle of an economic boom, covering 17 city blocks, killing two people, and destroying hundreds of buildings, with an estimated $20 million of property damage. The Financial District of Lower Manhattan, also known as FiDi, is a neighborhood located on the southern tip of Manhattan island in New York City. It is bounded by the West Side Highway on the west, Chambers Street and City Hall Park on the north, Brooklyn Bridge on the northeast, the East River to the southeast, and The Battery on the south. Year 1239 (MCCXXXIX) was a common year starting on Saturday of the Julian calendar. Year 1267 (MCCLXVII) was a common year starting on Saturday of the Julian calendar. Year 779 (DCCLXXIX) was a common year starting on Friday of the Julian calendar. The denomination 779 for this year has been used since the early medieval period, when the Anno Domini calendar era became the prevalent method in Europe for naming years. Saint Sturm, also called Sturmius or Sturmi, was a disciple of Saint Boniface and founder and first abbot of the Benedictine monastery and abbey of Fulda in 742 or 744. Sturm's tenure as abbot lasted from 747 until 779. Abbot, meaning father, is an ecclesiastical title given to the male head of a monastery in various traditions, including Christianity. The office may also be given as an honorary title to a clergyman who is not the head of a monastery. The female equivalent is abbess. April 21 is the 111th day of the year in the Gregorian calendar. 254 days remain until the end of the year. December 30 is the 364th day of the year in the Gregorian calendar. One day remains until the end of the year. June 25 is the 176th day of the year in the Gregorian calendar. 189 days remain until the end of the year. January 6 is the sixth day of the year in the Gregorian calendar. 359 days remain until the end of the year. September 9 is the 252nd day of the year in the Gregorian calendar. 113 days remain until the end of the year. ↑ "Today in History – Dec. 17". The Journal Gazette. Fort Wayne, Ind. The Associated Press. December 17, 2009. Archived from the original on March 2, 2012. Retrieved 6 August 2010. ↑ "Maryna Arzamasava - Athletics - Olympic Athlete | London 2012". web.archive.org. 2012-07-21. Retrieved 2019-01-03. Wikimedia Commons has media related to December 17 .